Religion is in turmoil. The religion I am talking about is not the religion that many Indians profess to follow. The Indian variety of “religion” had Sachin Tendulkar as its “god.” This “religion” involves kicking a leather ball with your foot rather than with a willow. Devotional following to this religion is global in the sense that its international governing organization, FIFA, has more members than the United Nations Organization. Obviously some countries prefer football over world unity. Kicking a ball with your foot happens to be a popular pastime sport of mankind over the past many centuries. And truly, what can be wrong with a harmless sport like that? Well, over the time this simple game has turned into a worldwide carnival of sports pageantry drawing millions of spectators. In 2013 FIFA (a nonprofit organization) had revenues of over US $ 1.3 billion for a net profit of 72 million, and had cash reserves of over US $ 1.4 billion. This big money has put FIFA in the headlines over the past few days. FIFA leadership is linked with rapaciousness, corruption, bribery and alleged vote-rigging. The decision to award the 2018 and 2022 World Cups to Russia and Qatar is also suspect. 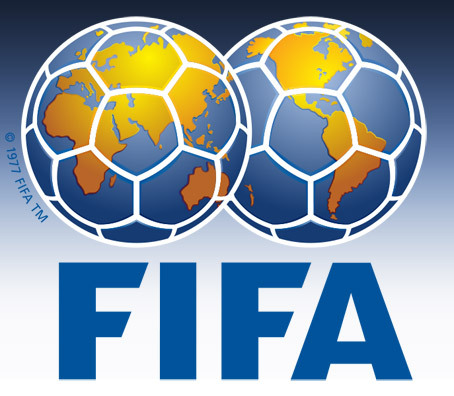 On May 27, 2015 several FIFA officials were arrested by Swiss authorities, who were launching a simultaneous but separate criminal investigation into how the organization awarded the 2018 and 2022 World Cups. Those among these officials who were also indicted in the U.S. are expected to be extradited to face charges there as well. The Srimad-Bhagavatam warns that the current age is an age of absence of morality. If the personality of Kali, irreligion personified, is allowed to act as an executive head, certainly irreligious principles like greed, falsehood, robbery, incivility, treachery, misfortune, cheating, quarrel and vanity will abound. And this is exactly what has happened in the field of sports. Slogans like “Taking part counts more than winning” are being replaced with “Taking the competition apart is what really counts.” Thus an event where football clubs have replaced the ancient tribes and corporate sponsors have replaced ancient kings, the onus is on raking in as much profits as possible. And once a sport rots in the head, the canker spreads rapidly throughout. In this Kali-yuga the dangerous modes of rajoguna (passion) and (tamo-guna) or ignorance are especially prominent. It is the modes that control a person’s mind and make him act recklessly even against his own good wishes. Those in the FIFA governing body who have embezzled in excess of 150 million USD knew exactly what they were doing, but greed had overtaken their values. And this is exactly what the lower modes of passion and ignorance do to an individual. Cultivating the mode of sattva, or goodness, is the only remedy which in this fallen age is achieved through the means of transcendental sound vibration. Fee-fi-fo-fum I smell the blood of an Englishman. Be he alive or be he dead I’ll grind his bones to make my bread. And today it is FI FA FO FUM where FIFA officials have smelt millions of dollars (the blood of an Englishman), and whether the spirit of playing a game is alive or dead they are ready to grind his bones to make their bread.